Ideally, I want to get off to a good start for mental reasons but Day Zero but one of the busiest I've had since 2011. 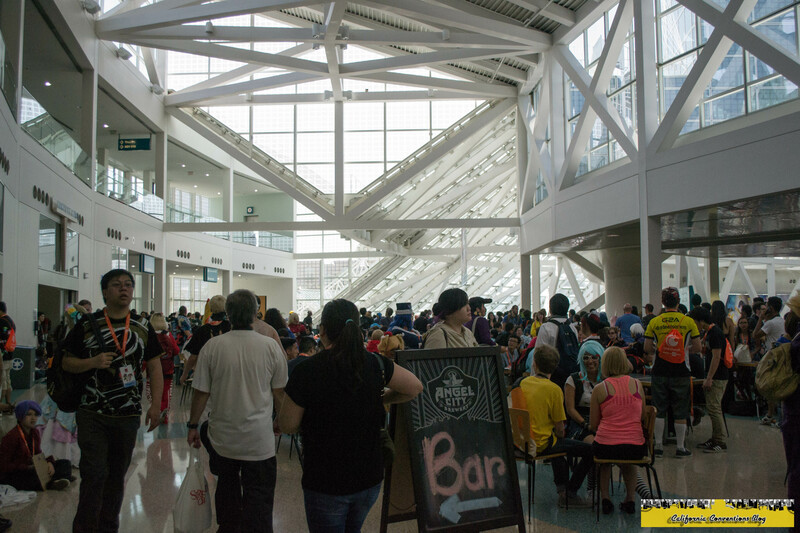 There was nothing wrong on the convention's end; I just had hardly any sleep the day traveling to Anime Expo. I really didn't get a Day Negative Zero because traveling ate up most of my time. I also didn't get off to the best of starts given given some setbacks back home. I literally left the evening before Day Zero and arrived in Sacramento to meet Matthew for a little bite to eat and brief about what was to transpire over the weekend. I was in a hurry because I had some friends who were in a rush to leave Sacramento so I had to head to Midtown to grab J and company. It was already Midnight in a Perfect World but I had to not be deterred from getting me to the convention and with or without sleep. it was a long 8 hour drive where a lot of shenanigans happened such as one of my passengers with a lewd body pillow was asleep with the lewd side toward the window and people giving me dirty looks. I was driving so not a whole lot I could do. I also had to listen to bizarre conversation which I wont go into detail about as I was trying to focus on my driving/music instead. J and company had to be dropped in San Bernardino which ment I had to double back to La Puente to grab James and immediately grab our badges. Running on only an energy drink, we finally arrived to convention by 12 pm on Day Zero. We pick up SoCal Division Leader, Tally K, from West Hall entrance and notice the line was outrageous as always but I had press again this year. Tally was unsure where to go, but I knew where to go since I've done this procedure for several years as is. Some of the badge systems were down but we still got in fairly quick. We had to rush over to the Westin as we were booked with interviews and junkets all day. We missed our first junket because we couldn't find the room to them but stumbled upon the interview hall was. to our surprise ,Tally and I received a call from the head press division of Anime Expo confirming we were at the con and currently doing interviews. the larger curveball was everyone on the blog was called who applied to Anime Expo this year! finally on the ball with where the junkets were we caught the Lia and Luna Haruna junket. I Got a questioned answered by Lia about a cover LISA did of her song "My Soul Your Beats" which I saw at AX 2012 to my surprise; Lia was in cahoots with LISA the whole time stating they were friends and that she was there with LISA the time of the performance and that was a great moment for the pair. We would bail to what would of been the Teddyloid interview session but due to delays by management or travel we would not interview Teddyloid or Suwabe Junichi that afternoon. With some disappointment, Tally and I would go to the Anime Matsuri junket and get some more questions and footage. There was a group photo session right afterwords so I couldn't resist trying to get some photos with the guests. the last session of the day was with world famous artist TMR otherwise known as T.M Revolution. surprisingly he spoke and could understand most English so it made the interview less tense and more fun to interact with. we would ask our last questions of the day and call the Westin adie. I don't come to LA much anymore so I don't leave without having my "LA Foodie Musts!" James and I would make another return to not Orochan but Shin Sen Gumi where I would slurp down a much needed and craved bowl of their hakata-styled ramen. Despite being tired from the last few days, when I arrived James house for the 2nd year I tiredly play a game of Weiss Schwarz with him but would not finish as we both passed out during play. We call it a night and ready for the onslaught we knew as Anime Expo 2016. I would record a video before I went to bed to remind myself of the events that happened earlier that day as it was past midnight. Unfortunately, that footage somehow got lost.